Sweetspot for iPhone is a new and simple way to curate and share your favorite experiences. A curation is a collection of photos, text, and tags that together tell a story. Whether you're documenting a recent road trip with friends, keeping track of your favorite restaurants or bars, or sharing a list of your city's essential museums and monuments, Sweetspot for iPhone is built for you. You can use the app to follow friends, family, or your favorite actors, artists, chefs--and discover new experiences. 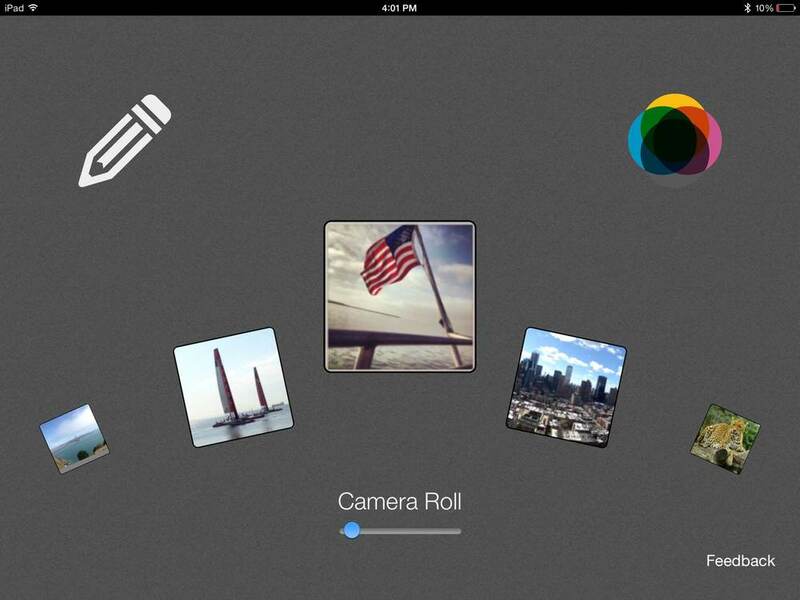 With the power of Aviary's iOS SDK, Sweetspot provides users the ability to personalize their photos with ease. When building curations, users can pull in photos from their Instagram and Facebook accounts, add locations from Google Maps, and then use tags and text to tell their story. Oh: and it's free. You can download Sweetspot for iPhone right now on the App Store! Have you been waiting for a better way to manage your iOS photos? Ever spent what felt like forever scrolling through your photos looking for that epic selfie for #tbt? How about that photo you took last year where you're "knocking down" the Leaning Tower of Pisa? Or that beautiful sunset photo you took on your honeymoon? Well the wait is over! Auto-organization of your photos by Days, Places, Faces, Favorites and Screens, so it's super easy to find any photo you need or get lost in photos of past trips. Picturelife Cloud access with 8GB free storage for photo backup and auto-sync down from Facebook, Instagram, Flickr, Dropbox, and more! We’re super excited about this latest update, and we think you will be too! 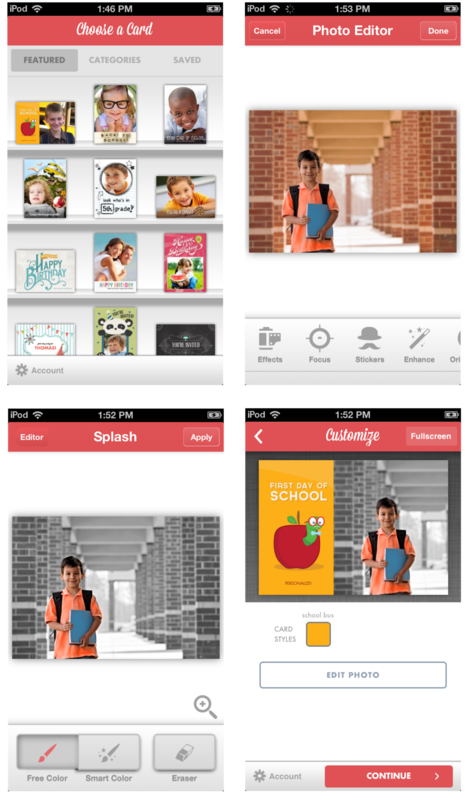 Need Expert Help Integrating Aviary? Try AirPair! AirPair is a high quality network of software experts on the web that assists developers to quickly overcome any software challenge or learn a new technology. Their experts have a deep knowledge across many technology stacks and solutions (Hadoop, iOS, SAP integration, MongoDB sharding, etc). AirPair accelerates software development by “pairing” experts with customers in real-time via video and screen sharing – leading to better software, produced faster, and at lower costs. Today, we’re excited to announce that the Aviary Expert Page is now available as part of AirPair’s Trusted Partner Community Expert program! This means that when you run into trouble building out your photo apps, an Aviary expert will be available to help out, face to face, in real-time! Register as an Aviary expert, or find one now! Constant Contact was built to help businesses create and grow customer relationships in today's socially connected world. In a nutshell, they make it ridiculously easy to design, share, and track email newsletters / campaigns on the fly. 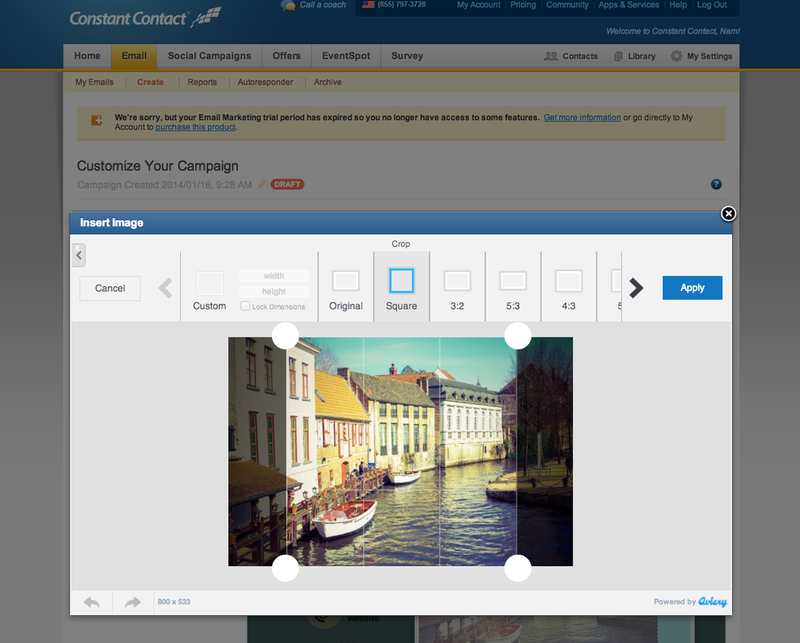 As fast as users can create emails, they can now edit their images just as easily within the platform We're excited to announce that Constant Contact has fully integrated our Web SDK, giving users the power to quickly add a creative touch to their images with one-click auto enhances, a wide range of text & font tools, frames, and more. Our editor sits nicely inside their existing file manager, which is an excellent example of how our creative tools can be added to your workflow in a non-disruptive way. We look forward to seeing future newsletters that've been retouched with Aviary's editor. To see other email marketing companies using Aviary, check out Mailchimp and Emma. If you'd like to add Aviary to your app, check out developers.aviary.com. Our editor is 100% free to use and implement, with a few purchasable upgrades to spruce up your integration. Want your website or app to be spotlighted? Hit us up at partners@aviary. 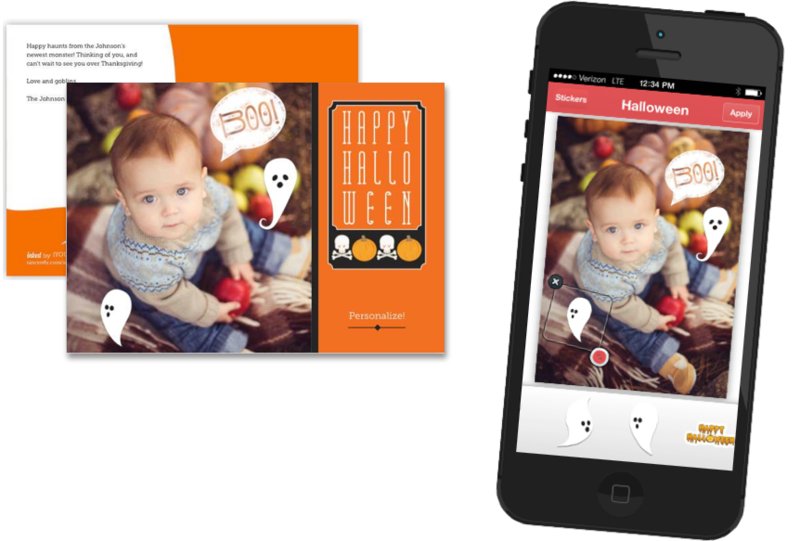 Congratulations to our friends at Twilio on their new MMS and picture messaging support! We're super excited to see what the developer community comes up with. By combining Twilio's API with Aviary's Server-side API, developers can build apps that automagically autocorrect texted images and forward them to a recipient. We'd also love to see apps that allow a user to text a photo, apply an Aviary filter and automatically tweet it, or share it to Facebook. If you're building a Twilio photo app and would like access to our Server-side API, let us know by emailing partners@aviary.com and we'll hook you up with a whitelisted API Key and some additional documentation. Several months ago, Aviary announced a partnership with Ink Mobility (formerly Filepicker.io) to help developers quickly and easily integrate Aviary’s Photo Editing technology with Ink's image importing and exporting SDK. Earlier this week, Ink Mobility announced their new Ink Mobile Framework which allows iOS developers to share data, including photos, between iOS applications. A sorely needed feature that is already available to Android developers. You can try one of the pilot applications, ThatPhoto, which allows users to edit their photos using the Aviary SDK and send them to a number of supported Framework applications, including Evernote and Box.com. Today, we have even more exciting Aviary/Ink Mobility news! Ink has just released a series of open source mobile applications in an effort to show off their new Mobile Framework, and more importantly, to encourage growth in the Open Source mobile app movement. The aforementioned ThatPhoto is among these open source applications, and is a fantastic reference for anyone looking to build a mobile Photo Application using the Ink and Aviary SDK’s. Because these applications are publicly shared on Github, any iOS developer looking to developer a photo application will have a published reference app that they can fork and improve upon for their own needs. Developers looking for further Aviary integration samples can always check out the Sample Application included in our SDK download. As the world of messaging apps continue to grow, many are looking to innovate and add new features to keep them ahead of the trend. Today, we are excited to announce our latest partnership with HeyWire, a free messaging app for users all over the world! With over 5 million downloads, they continue to grow and don't plan on stopping anytime soon. Don't have a phone number? No problem. Heywire gives you a free,*real* US phone number for texting your friends and family. You can also text them from the web by logging in at heywire.com with your HeyWire number. Here are 10 other reasons why HeyWire is the messaging app for you. Their latest update on both iOS and Android includes Aviary's embeddable and customizable mobile editor! Users on both platforms now have the ability to instantly add a creative touch to their photos using our Effects, Stickers, Meme Tool, Draw tool, and more. They've also enabled our White-Label Premium Add-On, which removes the Aviary branding to make the overall experience completely seamless. You can learn more about our Premium Add-ons here, or if you’d like to add them to your own app, feel free to give us a shout! Sincerely's latest update to their signature personalized greeting card app, Sincerely Ink now includes Aviary's iOS SDK! From birthday cards to thank you cards, congratulations cards, holiday cards, and cards you just want to send because you took an amazing Instagram photo, Sincerely Ink has designs for any occasion. They've done a great job of customizing the interface to match their app (a free feature of our editor) and have also decided to add both of our Premium Add-ons: High-Resolution output and White-Labeling (removes Aviary branding). You can learn more about our Premium Add-ons here, or if you'd like to add them to your own app, feel free to give us a shout. Check out the app and let us know what you think! Featured by Apple as one of the top photo apps, SnapShots allows you to share and access photos & videos with multiple users at any event - instantly and conveniently. Simply create an event, choose who you want to invite & interact with, and seamlessly crowd source them straight to your phone. With their latest integration of Aviary's iOS SDK, users can now add a unique and personal touch to every event with multiple photo editing tools, including our popular filters and effects. Download SnapShots for free now!